Machine learning technology provider Expat Inc. recently announced the launch of Market Sensei, a stock market prediction platform that features patented machine learning algorithms that give powerful prediction abilities previously unavailable to both novice investors and experienced traders. The launch of the release follows a beta period where the service attracted several thousand avid users who provided Expat Inc. with valuable feedback about various capabilities and the user interface, allowing the company to make key refinements. Especially if you are new to the field of investing in the stock market, you will need to make sure you know at least the basic idea about how this all works before putting your money into various companies. You never know for sure what the outcome will be, which is why looking into something like Wealthsimple advice on investing could make all the difference between you growing your investment, to potentially losing it all. Just like with anything you are not sure about, be sure to do your research. Market Sensei features an accessible UI that makes it usable by novice investors and experienced traders alike. 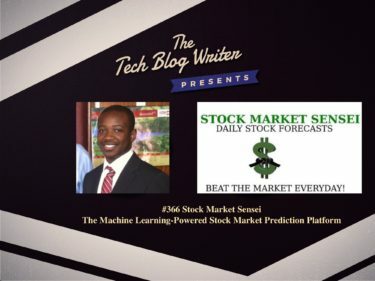 It is powered by patented algorithms that combine various metrics to create a predicted low, high, opening, and closing price for thousands of stocks which are clearly illustrated via the app or website interface. The platform offers reliable predictions for the thousands of stocks listed on the NYSE, NASDAQ, and AMEX markets. The complexity of the system was all placed in the back end, so users can receive reliable stock predictions at a glance. Our platform allows users to make daily or long-term strategic investing decisions that are based on predictive data. Patrick Kwete, CEO of Expat Inc.
A core competitive differentiator for Market Sensei is the inherent accountability that is built within the platform. Every stock’s prediction data also includes a graphical representation of Market Sensei’s prediction accuracy for that stock within the past nine days. This approach contrasts sharply to financial analysts who release reports but do not have reliable data regarding the accuracy of their predictions. Market Sensei provides users with both accountability and accuracy in a user-friendly structure.